Israel with its magical and charming history, all the empires and kingdoms as part of the history, also great kings ever rule in this Holy Land. At some point, you must’ve heard of King David. A great mighty warrior feared all over Israel, an awesome poet and musician who wrote the Book of Psalms. Today we are lucky to see some authentic moment at King David’s Tomb. King David is also known for his greatness in battle. He is described as a man after God’s own heart in 1 Samuel 13:14 and Acts 13:22. As the second king to rule in the Kingdom of Israel (Samaria in the north) and Judah (Jerusalem in the south) also known as United Monarchy. 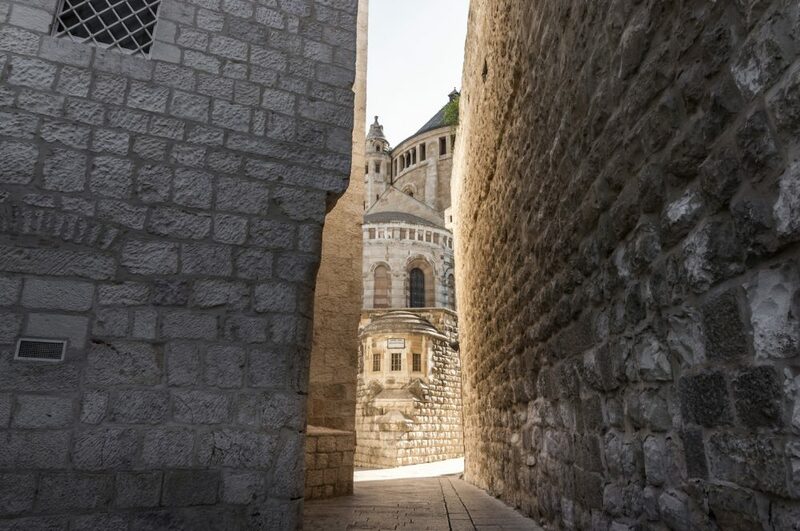 From our last post about Church of St. Peter, we’re moving to visit the King David’s Tomb. Which is not so far from where we were. Because it’s a new Hebrew month right on 17 July 2015, and here we were on 18 July 2015, they still had this Rosh Chodesh Av / ראש חודש אב celebration kinda going on. Holy day, they said. Our guide, Mr. Dani keep saying we have to hurry because they’re closing soon. We gotta make the best of our time. So here we are rushing again. I think I’m getting used to it. I’m chilled. 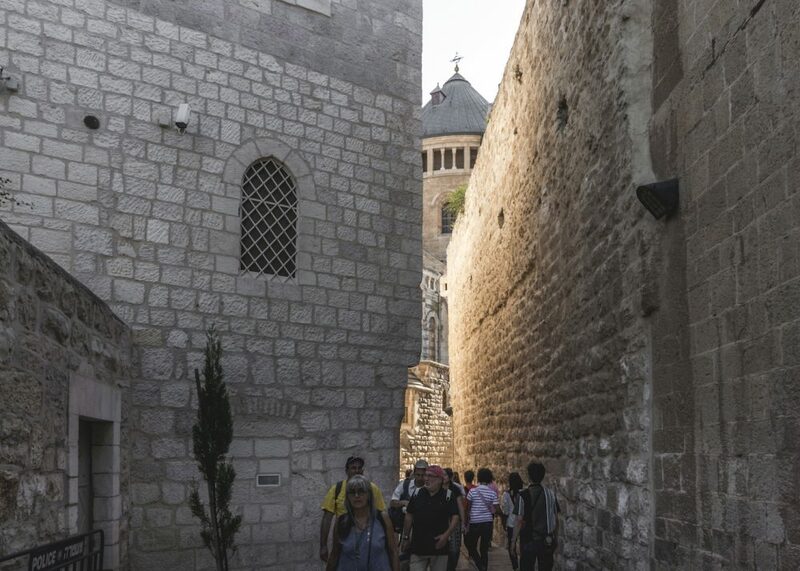 It is located on Mount Zion in Jerusalem, near the Hagia Maria Sion Abbey. The tomb is situated in a ground floor corner of the remains of the former Hagia Zion, a Byzantine church. This location is also where the Cenacle of Jesus (a.k.a. Upper Room), which is one of the main reason why we visit this place. 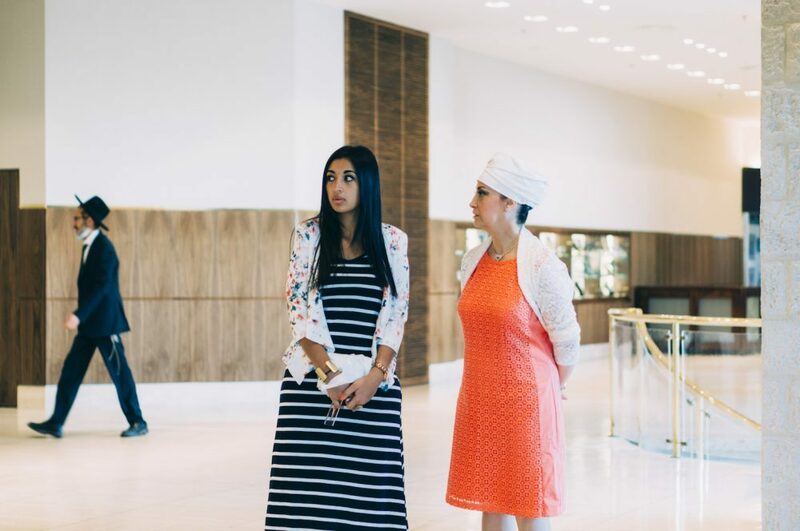 Actually, we spent more time at the Upper Room than King David’s Tomb. Will get there in a second. Walking to the building where the tomb is, we’re passing a passage that quite full of tourists or pilgrims. Everybody seems trying to go to the tomb in a rush, maybe they know it’s closing soon. I really love how it looked like in this area where all the walls are somewhat lit by the sun began to set, it creates shadows and lights in a beautiful way. Walking between those high walls surround makes it better. Beautiful lights from the sun accentuate the walls. 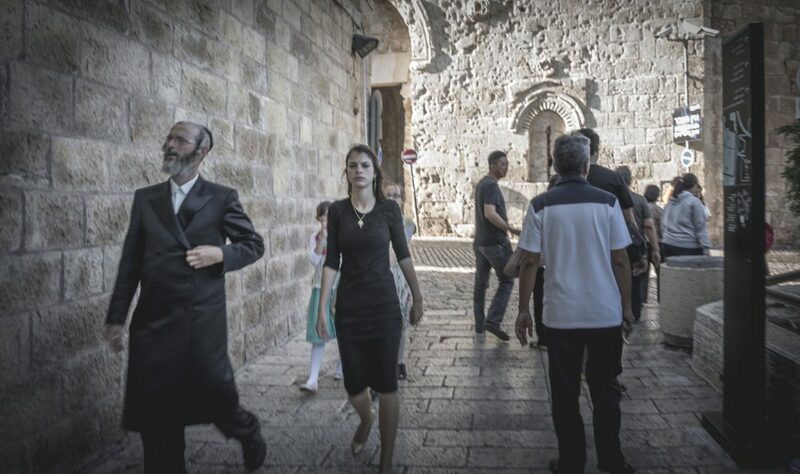 Because it’s a holy day where Jews celebrating their thing, we got a very limited access, kinda… Some places are actually closed or limited access within this area. Yeah, what a great timing. It’s really a great authentic moment. They had this room that looks like a library where they keep many books, they said those are books of psalms that King David wrote, in Hebrew. I saw some Orthodox Jews inside this room reading psalms, praying and doing their thing. It’s a normal thing during this holy day, where they come to this holy site and do this prayer thing. Jews have streamed here for centuries to recite the Psalms written by David, whose life teaches many lessons about human nature. The anniversary of David’s death coincides with the eve of Shavuot, when it is customary to pray and study all night at the tomb. Even Mr. Dani said they can pray for a long long time reading and meditating on those psalms. 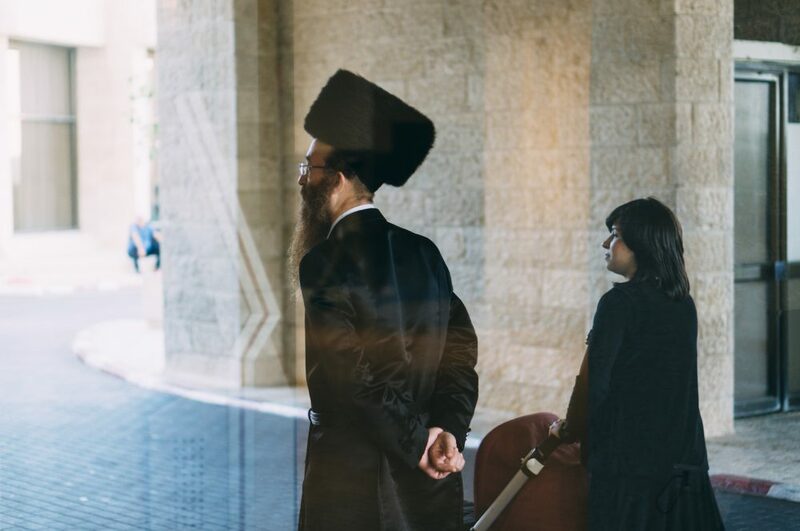 In a serious way, this is one of the most authentic moments of Jerusalem that I’ve had. 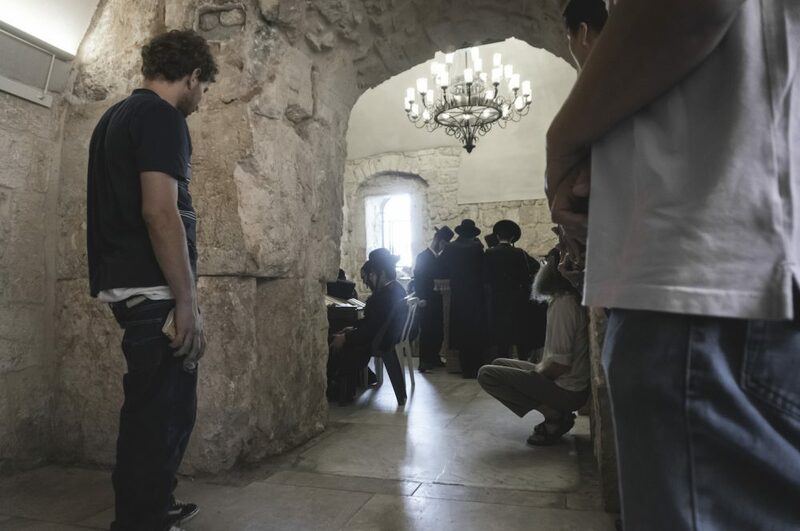 Jews reading psalms, praying, and just to the left corner side of that picture above is where the King David’s Tomb are laid. It’s a wooden casket wrapped in a blue fabric with some Hebrew writing on it. I wish I could take some picture of the casket. 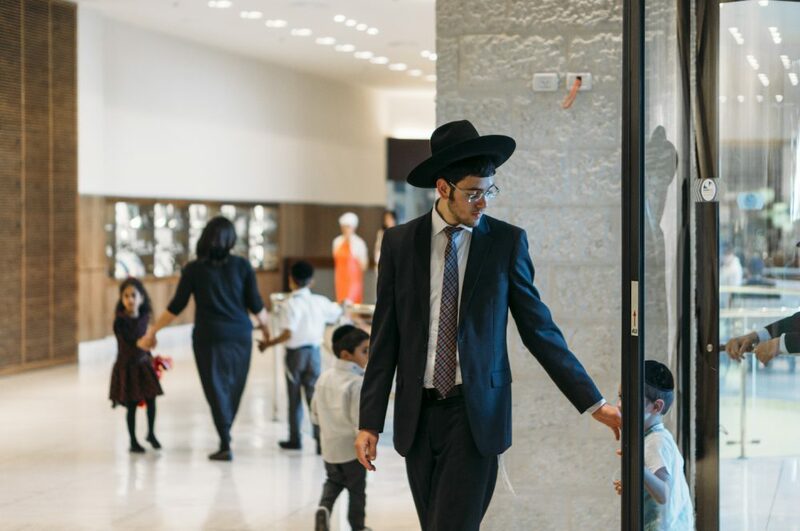 The tomb is covered with a velvet cloth embroidered with the words David Melech Israel Hai Vekayam, the first song many Jewish children learn, which evokes the sense that David’s spirit is still with us. They still allowed pilgrims to visit the tomb inside but we have to queue and wait. They only allowed 5 persons at a time. One goes in, one goes out. It’s amazing knowing that this building is ten-thousand years old. 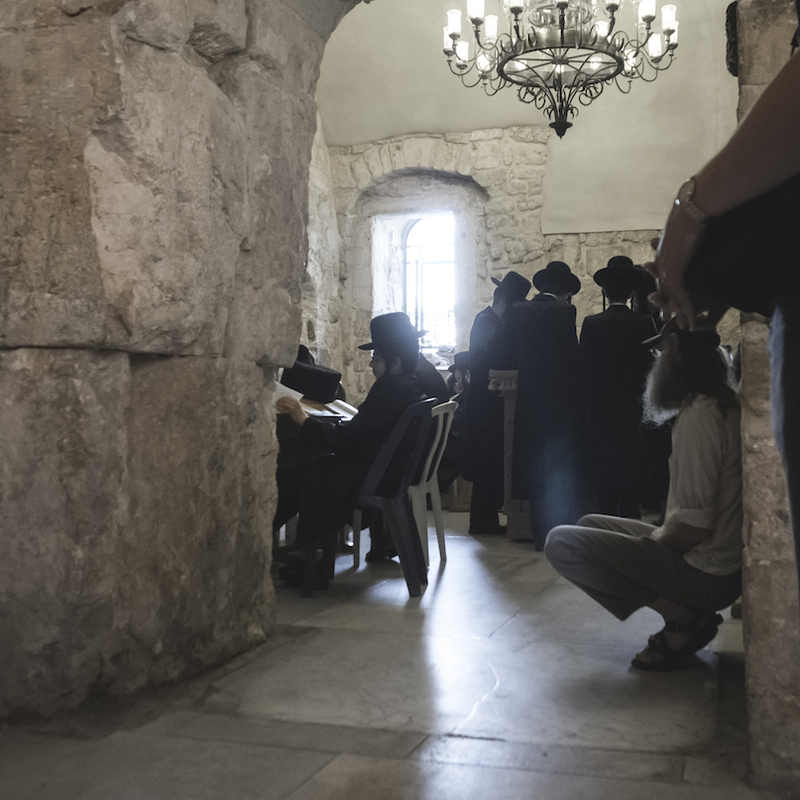 Some have come to pray and pay homage to Israel’s famous king and ancestor of the Messiah, while others pour over sacred texts all day long in the anteroom next to the tomb. Done with King David’s Tomb, we’re moving up the stairs located just a couple feet away from the tomb. This is where Jesus had the last supper with the apostles. This place also called The Cenacle. That corner of the room is where we gather and had a group pray. I must say, even though it’s just an empty room where the last supper happened, the feeling when inside the room is intense. It’s somewhat emotional if you try to relate to the story behind the Last Supper. That betrayal of Judas, it’s emotional. St. Mark’s Monastery in the Old City of Jerusalem near the Armenian Quarter is where they considered as an alternative place for the cenacle. 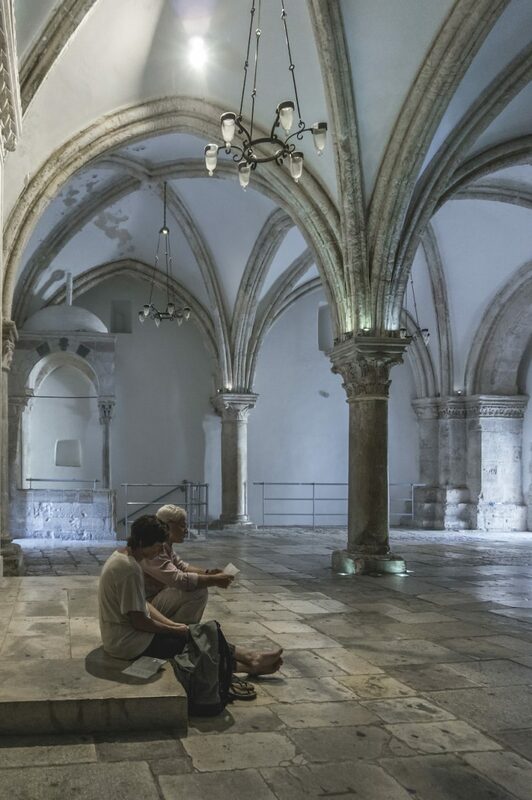 Just like this Upper Room, there’s also a debate that King David was actually buried “in the City of David”. 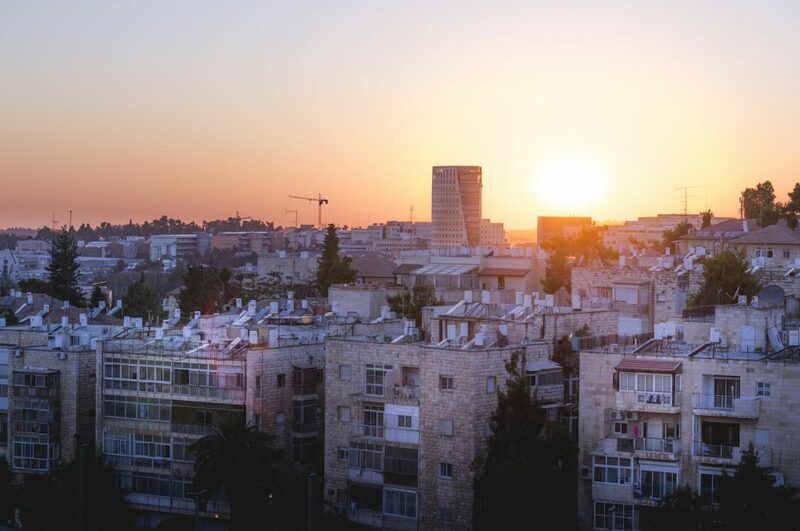 Identified as the eastern hill of ancient Jerusalem, as opposed to what is today called Mount Sion, which is the western hill of the ancient city. 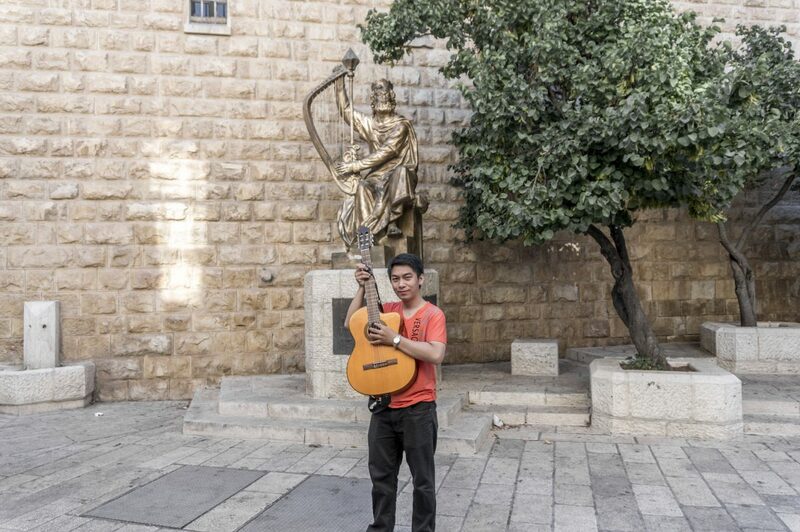 The Golden Statue of King David holding a lyre. And that’s my friend trying to impose him, pretty close. I remember trying to take a photo of this one Jewish boy playing with his friends just after I’m going downstairs, but even the kids are strict. Hi there, little boy.. You look handsome, can I take your photo? In my defense, they say don’t take pictures in the tomb area, which is not clear. Is it just that room where the tomb is, or when you close to it, or the whole building where the tomb is. I still saw people taking photos of the surrounding, and they’re allowed to. But not at the tomb where those Jews are praying. I’m asking that kiddo outside, where we’re heading to exit the gate. I’m not sure, I’m confused and annoyed and uneasy that afternoon. I leave this site with a mixed feeling. 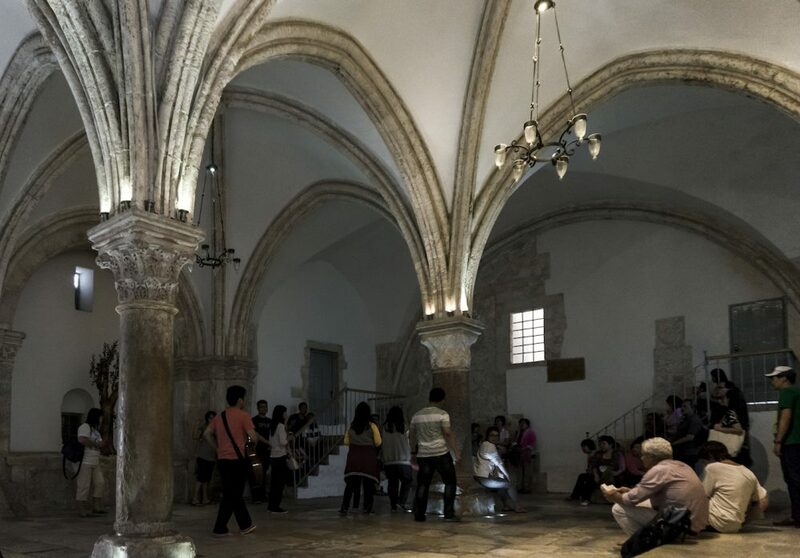 I love how the atmosphere from the surrounding to the King David’s Tomb to the Upper Room. They are a lovely place to visit. The authenticity and how original the scenes were, it will make a good memory. But some unpleasant things can ruin a good experience. Like being warned impolitely about taking photos, being told to leave impolitely like you don’t have any extra 1 or 2 minutes, and being yelled. This place is really recommended. Definitely, spare some time during your visit to Jerusalem in this holy site. Do check information with your local guide for the best itinerary when to visit. So you can have more access exploring this place. As they limited access during some Jewish holy day. Check here for the list of the Jewish calendar. Plan your visit well. This site is the last one for the day. We’re checking in at our hotel in Jerusalem, the Ramada. A nice hotel with a nice view of the city of Jerusalem. Checking in more than 30 people at once surely take some time. But thanks to Mr. Dani and our guide, they took care of it within 15 minutes together with all the luggage handling, dividing room, et cetera. A nice welcome drink of orange juice to cool down the throat. That’s one cool accessory for the head. I had a couple shot before the camera battery ran out. 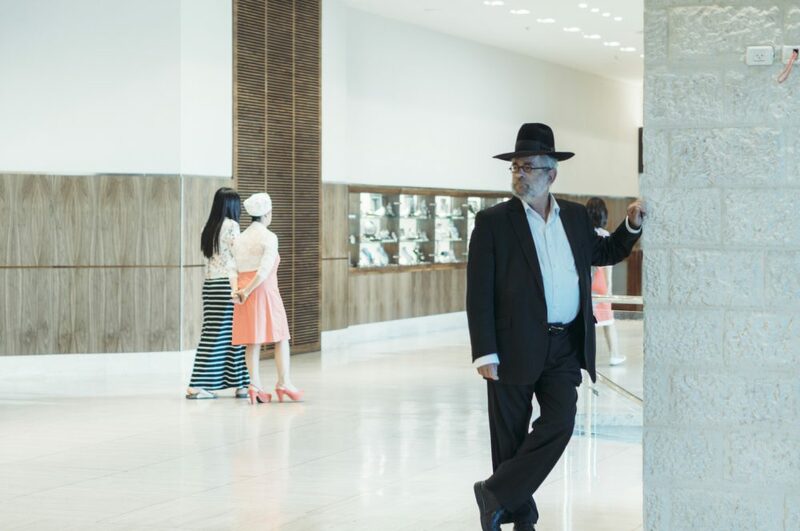 I love looking at how the Jewish passing by the lobby, they had a dinner feast celebrating the new month according to the Hebrew Calendar. The best thing that day was the sunset as seen from my balcony. Panorama view from my balcony. Beautiful sunset from my balcony. Awesome color. Tell me that’s not beautiful. It’s enough to give me one peaceful evening. Sunset here was amazing. Jerusalem is charming. That’s everything I’ve got to share in this post. 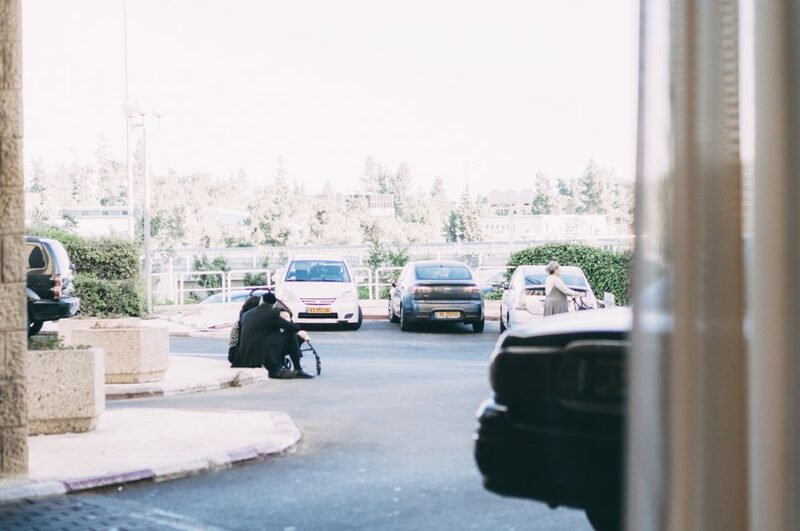 If you haven’t already, check out more of my posts from Israel, such as Mount Hermon, Sea of Galilee, even to the very first post about this pilgrim series crossing the border into Israel from Jordan. If you’re traveling to Israel in the near time, these links below might be useful to help you get the best deal. As well as helping me keep traveling.